Quiff hairstyle can be created on all hair lengths; even if you have short haircut you will be able to create quiff. You just need to learn proper styling tips. Are you interested in quiff hairstyles 2015? If so let me show you several designs of quiff hairstyle and may be you will choose the one for coming special occasion. If you have short layered haircut there is only one way to create quiff hairstyle. You just need to tease the crown and top and backcomb. 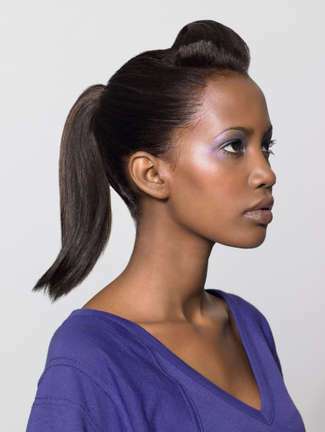 In order to make hairstyle last longer you should use stronghold hairspray and fix each teased section with spray. In case with long hairstyles quiff design can be styled in numerous ways. It can be teased bang style where the front but is backcombed while the rest of hair is left loose. Another popular hairstyle is curly quiff with tight quiff at the top. Here the rest of hair is pulled up in French twist.